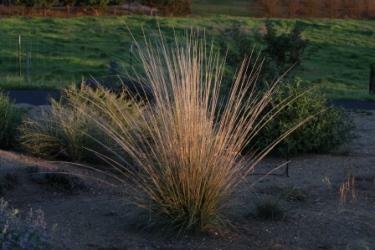 A large perennial bunchgrass with flowering stems up to 3.5'. Flowers in Spring. 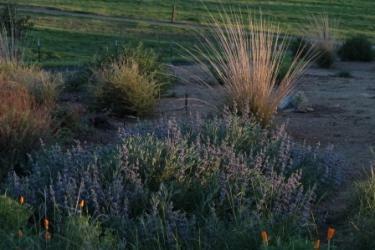 Attractive as a large accent grass. 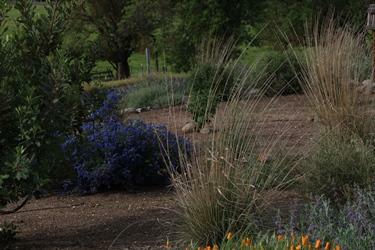 Largest of the grasses that we offer. Very adaptable. Deer do not seem to bother it, contrary to what the name implies. Not attractive in small pots. Very easy to grow. Great as an accent. Could be grown in a row as a lower screen plant.